If you’ve ever tried using Google Maps, you know that GPS Tracking can help you get from point A to point B as fast as traffic can get you. These apps can help you navigate, feel more secure about your car or loved one’s whereabouts, help you get and stay fit, and if you’re single, it can even help you find a date! 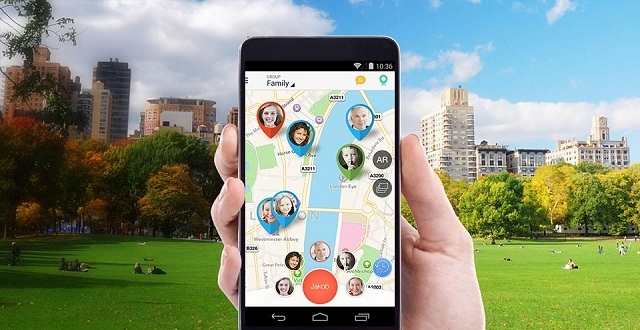 The Family Locator app from Sygic lets you keep tabs on your kids and could even help you locate them when they get lost (or ignoring curfew). You can get alerts for when they’re going someplace they weren’t supposed to go and get messages when your kids arrive safely at their destination. This is especially helpful when they conveniently “forget” to call you when they go out. This app is ideal for keeping track of your kids, but here’s a friendly warning: you have to be open to them about this, especially your teenagers, who might think they they are being “spied on” by their parents. 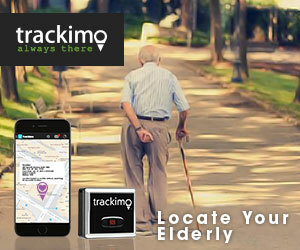 Download Family Locator for iPhone here. Download Family Locator for Android here. If you believe that chance encounters with people nearby can lead to lasting connections, Singles Around Me is the dating app for you. It lets you find cool people near you, based on your GPS location. It is open to people of any gender or sexual orientation, with about 100,000+ new users every month, ensuring that you have a large pool of potential matches. The app can also show, hide, or shift your location if you’re concerned about privacy and safety. Download Singles Around Me for iPhone here. 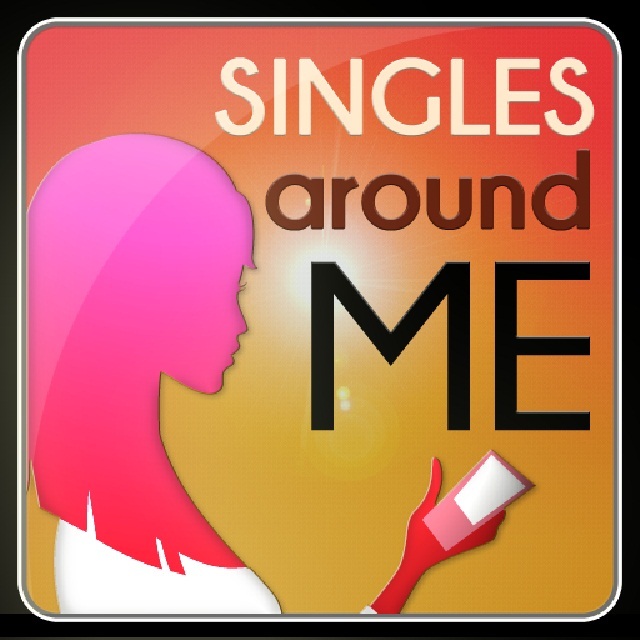 Download Singles AroundMe GPS Dating for Android here. This voice navigation app is ideal for travelers as it points you to the nearest restaurant, gas station, shopping mall, or nearby attraction site. If your travel plans involve driving a rental or traveling by foot, the app can help you find what you need, when you need it. 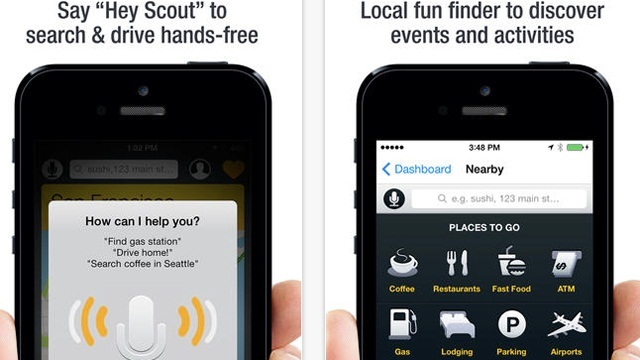 Scout is especially helpful during your daily commute and lets you share your travel ETA with friends and family. Additionally, you can also log in with Google+ or Facebook to sync your favorites, recent places, and even settings across multiple devices. The app was also recently updated to use less power so you don’t have to worry about battery drain—always a good thing. Download Scout for iPhone here. 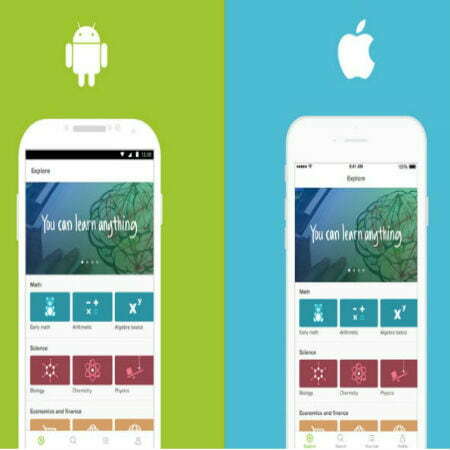 Download Scout for Android here. 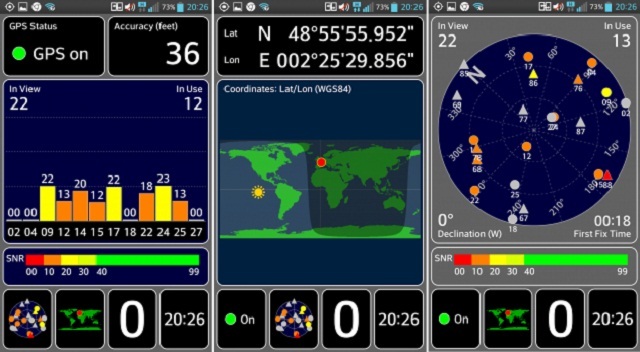 GPS test is a utility app that helps you determine the accuracy of your GPS location. The app also has several color options, helping you customize your experience to some extent by showing you your current global position on a map, the local time in your timezone, and the sunrise and sunset times at your current location. Download GPS Test for Android here. 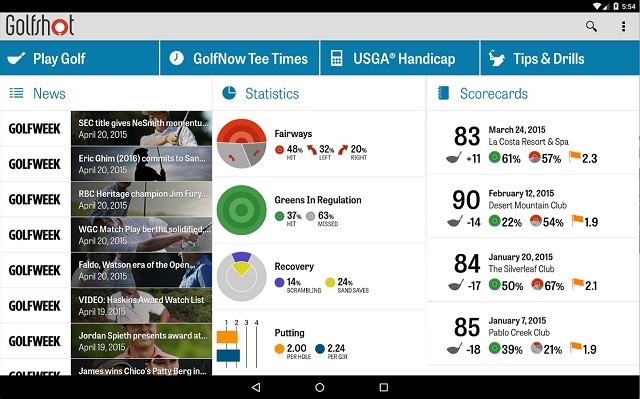 For golfers, this is the app that can up your game. Golfshot offers aerial flyovers of each golf and shows precise yardages to more than 500,000 greens worldwide. Some features require additional payment, but it is a solid tool in any golfer’s arsenal. Plus, this app has Android Wear support, making it ideal for users with Android Wear smartwatches. Download Golfshot for iPhone here. Download Golfshot for Android here.